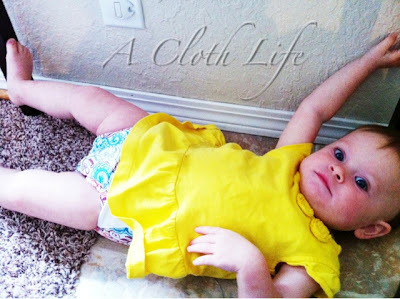 A Cloth Life: What's the BGE? Remember when I posted a list of cloth diapers I am dying to try? Well, someone was listening... er... reading. 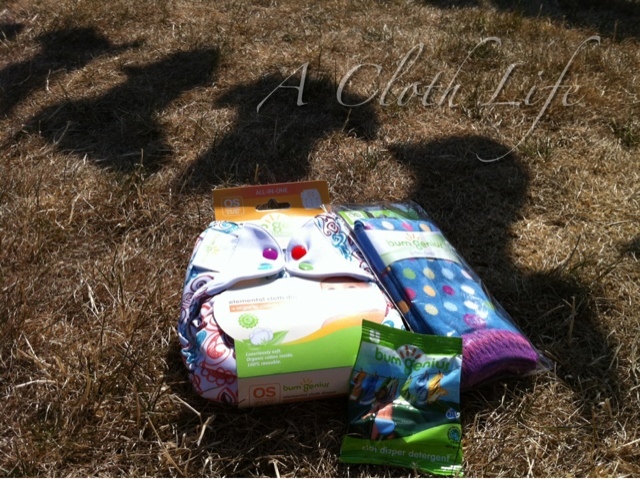 I won one of the weekly #clothdiapers twitter parties hosted by Cotton Babies. At the time, they were giving the choice of a bumGenius 4.0 or a bumGenius Freetime. While they're both great diapers, I'm sure (the 4.0 is the backbone to our cloth diaper stash, to be honest), I totally lucked out. Heather, from Cotton Babies, took the time to read this blog and saw my little heart's desire for a bumGenius Elemental... and GRANTED MY WISH. Wahoo! I'll skip all the hoop-la about the amazing customer service, and how incredibly excited it made me to get the very diaper at the top of my wish list. So what's the verdict? 100% recommend. Sometimes a first impression really is worth something. The diaper is trim, and the cotton is super soft and absorbent. It actually reminds me of the great Flip Organic inserts but with the convenience of an all-in-one. No stuffing or unstuffing, no microfiber, and no exposed PUL touching baby's soft skin. And (as per usual with our bumGenius diapers) the fit is great for N. I do understand people who complain about the elastic not being truly encased like it is for the 4.0. It hasn't been an issue for us, though. I also read that some people had trouble spraying poop off because of the layers, but it's been super easy for us to take care of. Overall, this is my new favorite diaper. If I could manage to sell some of our less-used diapers, I would buy more of these without a second thought. I recommend anyone considering the Elemental to give it a try. And if you aren't considering it, maybe you should! Although this post contains some affiliate links which benefit this blog, thoughts & opinions expressed are (as always) 100% mine. I love ours! G wore his for 3 hours (including 90 min in the carseat) with NO leaks. Very impressed. 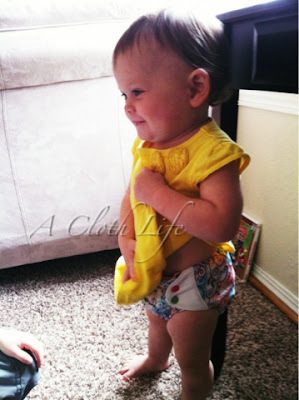 If I could just sell some of my other diapers, I would totally buy more. I think I need Albert... Maybe I'll do a "For Sale" post like you did.